The Wall Street Journal recently did an interview with Stephen Amell, where he gives us a little tease about some future episodes of “Arrow” coming up later this season, including the big crossover episodes with “The Flash”! You can check out a portion of the interview below, which if you don’t want to know any small details about some upcoming episodes, there may be some minor spoilers. It is clear that Arrow and Flash are going to be interacting quite a bit on TV. I know you are going to have some crossover episodes coming up. So, who would win in a fight? Well we will have to wait and see, won’t we? How would you combat somebody with super speed. We saw in that teaser promo last spring that you can’t even shoot him with an arrow because he is too fast. Speed doesn’t equal experience. Let’s just put it that way. And I am 8 years older than Grant. What is coming up on ‘Arrow’? I’ll give you something for episodes that are going to come after our fall run, stuff in our winter run. I have never, in my history with “Arrow,” had as light a schedule as I have had for the past several weeks… ever! It’s been very strange, let’s just put it that way. Are we going to get to see you fight R’as al Ghul? One would hope. I normally fight the big bad of the year. If it turns out he is the big bad, but I don’t think that has been printed, that R’as al Ghul is the big bad this year. I don’t remember anyone announcing that. But, typically I get to fight our big heavies so hopefully I get to fight him because that would be something very iconic for the show. 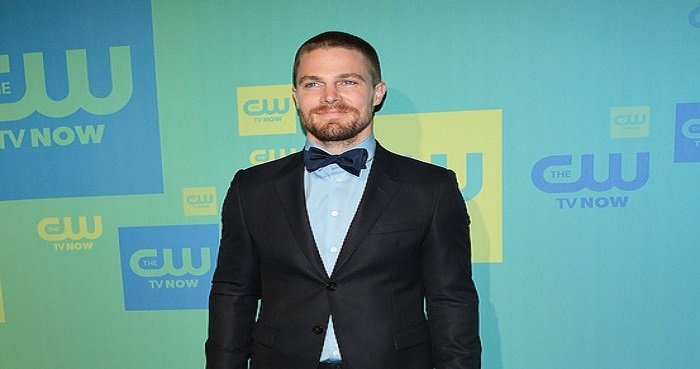 Be sure to check out the full interview over at The Wall Street Journal, where Stephen Amell shares his thoughts on the upcoming slate of DC movies, and his great charity work.